The Mound City Waterfowlers Hall of Fame celebrates Squaw Creek's history. John Laukemper formed a hunting club in the Mound City area. His son, Joe, is now president of the Waterfowlers Hall of Fame. Ducks and hunters pass through time like water drops in a river's flow. 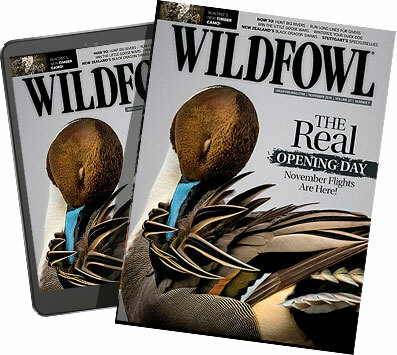 Waterfowl produce new broods, while hunters follow traditions learned from fathers and friends who introduced good shots, expert calling, cold duck blinds and wet, smelly dogs. Memories are made in duck blinds, and legends are created. Ducks and geese have always migrated up and down the Central Flyway to the Northwest Missouri Squaw Creek area. Through the years, hunters approached this productive location with different ambitions. Some just wanted to feed their families, while others hunted strictly for sport. Famous explorers Lewis and Clark noted populations of abundant game in the area of Squaw Creek on their journey up the Missouri River, but American Indians discovered this productive region centuries before. Later, a few market hunters took large numbers of ducks and geese throughout the region until it became illegal, and then it was all sport hunting. The Squaw Creek Wildlife Area, close to Mound City, Mo., has long been an annual fall pilgrimage for hunters -- some famous, most not. Many outstanding hunters rose from this group to become important contributors to the traditions of modern-day waterfowling. Actor Roy Rogers loved Squaw Creek hunting, and some say he brought his buddy Clark Gable along. The Mound City Waterfowlers Hall of Fame was first conceived in 1990 to attract tourists off nearby Interstate 29. But the Hall of Fame idea became bigger than tourism -- more of a passion. People realized this dream was something special, a way to honor the best. "Dr. J. Bruce McRae, a passionate waterfowl hunter, introduced the Hall of Fame idea in a town meeting," said Joe Laukemper, Hall of Fame president. "This eventually led to the Hall of Fame banquets and inductions. Waterfowl hunting legends of the area are awarded plaques and their names are posted with past members. Our organization became bigger. Soon, we were receiving all kinds of antique waterfowling equipment, pictures and other items requiring a permanent building." The McRae Community Center was the answer, with plenty of space and a hall large enough to accommodate the several hundred hunters and families who attend the annual inductees' banquet. The community center houses a fine restaurant and most of the Hall's displays, with pictures and exhibits showcasing waterfowling equipment and paying a fitting tribute to accomplished waterfowl enthusiasts. Harve H. Hall hunted the area before 1935. Here, he is shown with a soldier on leave from World War II. Sons and daughters who hunt this region proudly point out their dads' displays, including Laukemper and professional waterfowl hunting guide Danny Guyer, who hunted here with their fathers, both of whom are inducted. I have heroes there, too. Bill Bennett, outdoor editor of the St. Joseph News Press, helped me get started in professional writing 33 years ago. Paul Knick, a top duck caller -- my father's friend and mine, too -- and his partner, Bud Burrows, helped create better waterfowl marshes on Squaw Creek through generous donations. Inductee Georgia Stone opened Sportsman's Lodge in the late 1950s. Inductees are always overwhelmed when added to a list of the nation's best hunters, including individuals who have excelled in other professions. Major League Baseball player Ted Williams, right, and friend Ralph Kinder are both inductees. "I am honored to be inducted in the Hall of Fame with my father and his friend, Ted Willis," said Tom Watson, Professional Golf Association legend. "Inductees are comprised of around 125 people who have been hunting ducks and geese around the region for years. Five are added annually. This hall is about friendships, too, and that should always be remembered. My father took me there when I was 7 years old, and I fell in love with the entire experience. I am an avid duck and quail hunter. Duck hunting here was and still is a very important part of my life." Other celebrities who discovered hunting in the Squaw Creek region include Major League Baseball greats Mickey Mantle, Roger Maris, Hank Bauer and Ted Williams. Hollywood movie star Roy Rogers hunted the area, and some people say he brought along his pal Clark Gable. Air Force generals from the base in Omaha, Neb., including Jimmy Doolittle, shot ducks and geese there, too. Harold Hatfield hunted Squaw Creek for years and opened a nearby sporting goods store. "Remarkably, Ted Williams used to hunt and then visit a local restaurant where no one paid attention to him," Laukemper said. "They knew who he was and just didn't bother him. Tommy Watson is treated the same way at the induction dinners. Everyone just mixes in as waterfowlers." ve callers were inducted, including Sam D. Hoeper, 1982 World Champion. Many inductees have won national duck calling contests, such as 1982 world champion Sam D. Hoeper and 1985 world champion Mike Keller, while others made a living shooting or trapping ducks in the 1930s. For example, Buster Johns, an inductee in the Hall, was a market hunter during his youth. He remembers bringing ducks to a plane waiting in mud, with boards placed down the runway so the plane could take off to a private dinner for some powerful people in Kansas City. Johns continues to hunt ducks in the area. Some inductees were not big names in the region, but contributed in other ways. "I have been president 10 years and was visited by a banker from another community several years ago," Laukemper said. "He stopped by the Community Center for dinner and was soon studying the exhibits. He looked over plaques that listed Hall of Fame inductees and asked about them. Someone in the room told him that they were the greatest hunters who have hunted this area and kept the resource alive. They have added to this region through sports writing or conservation and kept it alive for future generations." The doctor was impressed, and later his wife visited Laukemper. "My husband was taken by the Hall of Fame," she said. "How does one get inducted?" Laukemper told her to write McRae and forgot about the incident. Later, he discovered that her husband was Ewart Burch, a former commissioner of the Missouri Conservation Committee for six years and an advocate of conservation in the region. He soon became an inductee. Later, in his obituary, Burch listed the Mound City Waterfowlers Hall of Fame as a place for donations in his name. "I consider the Waterfowlers Hall of Fame a place for people to strive to be inducted while bettering this resource, no matter who they are," Laukemper said. "We have members from all walks of life, including guys who are millionaires who are inducted along with guys living on $250 a month in Social Security. Many of those guys on Social Security were calling ducks 50 or 60 years ago. Some were 11 years old and guiding the millionaires." Waterfowler enthusiast J. Bruce McRae, back left, introduced the idea of the Hall of Fame at a town meeting. Sadly, most of the early waterfowl hunters from the 1920s and early 1930s were gone before their stories could be recorded. But some history is being rekindled. Georgia Stone opened the Sportsman's Lodge in nearby Bigelow, Mo., during the late 1950s. Many professional baseball players, and even generals like Doolittle, stayed at the lodge while hunting the region. Today, the building is being restored at great expense. "I have, so far, spent $1 million dollars in bring back the old duck lodge originally called Sportsman's Lodge and owned by the Stone family," said Hall of Fame board member Bill Hutting. "They both died, and the building was left abandoned for several years. The first time I saw it, I didn't get out of my car. But then I investigated the history in it, returned for a closer look and fell in love with it. Everybody thought I had lost my mind." Hutting would love to bring some of the Hall of Fame memorabilia to his lodge. "Celebrities and local hunters stayed here after World War II," he said. "The lady who lives next door is now in her 90s. She used to pluck ducks and geese for those guys. This lodge is definitely part of the history, too, and could eventually be recognized as part of the Hall of Fame." My father took me hunting in the region on Nov. 15, 1965, when I was 12 years old. I remember seeing both the Sportsman's Lodge sign and little write-ups alongside the blacktop advertising duck and goose plucking, a nasty job that netted most of the year's wages for many in the area. I shot my first snow goose that day, a memory I will always cherish. The author at 12 years old and his father show off their first Mound City snow geese. Waterfowling lore is a part of American history. The Squaw Creek region is historically important for its long tenure as a waterfowl hunters' mecca, and certainly holds countless memories for goose and duck hunters. The old stories would be lost forever without reminders of our past, even in duck and goose blinds. Laukemper remembers his father talking about hunting with a Flying Tiger who flew against the Japanese in China just before the United States declared war with Japan. Many of the fighter pilots hunted here, too, and marked little zeroes or other characters to tally the ducks they shot, the same as marking their planes with air victory symbols in war. Sadly, the pilots never signed their names. "The Waterfowlers Hall of Fame will continue to add decorum by building oak cases for various items," Laukemper said. "We have cases of the stuffed waterfowl species that pass through the area. We even have decoys from foreign countries and other unusual items. Many ask where the Hall is going. Not sure, but we plan for it to last while there is interest in duck and goose hunting, and maybe longer." Kenneth Kieser of Olathe, Kan., hunts waterfowl near Squaw Creek.